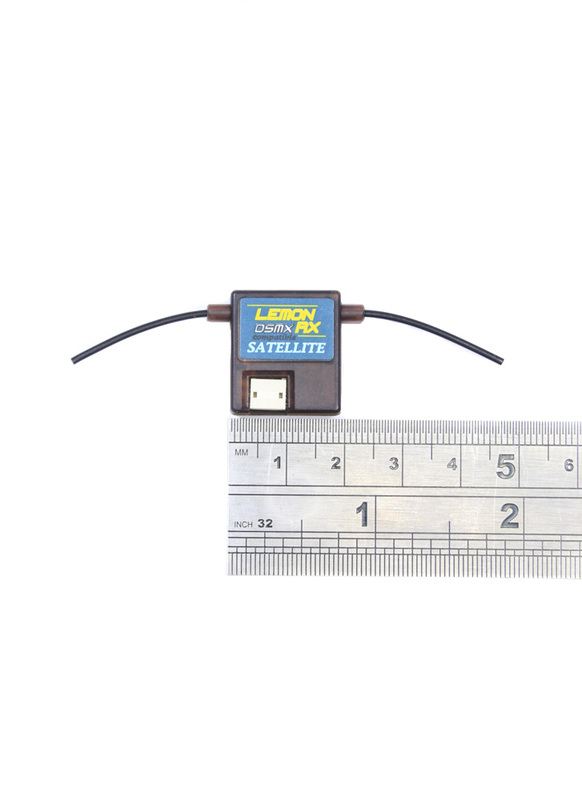 This particular Rx, is a DSMX satellite receiver which is compatible with DSMX Spektrum and DSMX Orange Rx products. It is also backward compatible with DSM2 modulation but must be used with a DSMX compatible primary receiver. As a Satellite RX you can use it in conjunction with a full size receiver for a really secure connection. Weighing only 2.5g with the case this receiver is incredibly lightweight and with a 22x19x7mm footprint this receiver can fit in some tight spots! If you use a spektrum transmitter you simply cannot beat the LemonRx receivers for size, price, and performance. Spektrum DSMX compatible satellite full range receiver - if you require a full range diversity SAT Rx look at the LM0037 Rx.